Jacques Rudolph's 169 not out against Sussex in 2014 is a record one-day score for Glamorgan, beating Sir Viv Richards' previous high score of 162 not out against Oxfordshire in 1993. Glamorgan have named Jacques Rudolph as their club captain for all forms of cricket for the 2015 season. South African batsman Rudolph, scored almost 2,000 runs in his first season with the Welsh county in 2014 and takes over from Mark Wallace. Rudolph says he is "very honoured and privileged" to be appointed skipper. "Next year is a new challenge and following a number of changes, I'm really looking forward to some exciting times ahead," he said. Rudolph takes over from, Jim Allenby, who captained the T20 side but has since joined Somerset, and Mark Wallace who skippered the County Championship and 50 overs teams. The 33-year-old hopes to lead Glamorgan to a better performance in the County Championship in 2015. Last season the Welsh side finished one from bottom of the second division. "There were some encouraging signs last summer, especially as we came within one run of reaching Twenty20 Finals Day," Rudolph said. "But I've always set myself very high standards and I want to rectify a few things from 2014, especially in four-day cricket. "I feel we are a better team than what our final league position suggests." 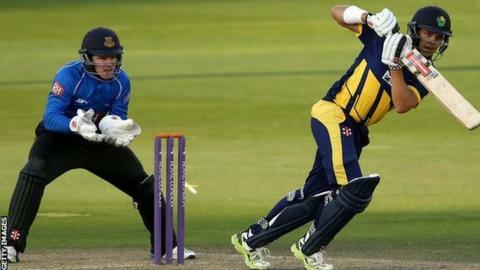 Rudolph says Glamorgan can be a force in both four-day and one-day cricket by "developing" the "good young talent" at the Welsh club, along with "new recruits" and players already there. Glamorgan chief executive and director of cricket, Hugh Morris, said: "A leader on and off the field as well as being a genuinely likeable person, Jacques brings a wealth of experience to the role. "He leads from the front and has shown throughout his career, and in his first season at Glamorgan, that he is a true professional and role model for younger players. "Mark Wallace has done a fine job as club captain during the course of the past three years, demonstrating tremendous dedication and commitment to the role. "He will continue to be a valued and experienced voice in the dressing room and on the field within a leadership capacity."